Are you part of the clan yet? We’d love you to become part of the clan. Muckrach is for all of us to enjoy and we’d like to welcome all of our neighbours to become part of the clan and enjoy discounts and special offers. Muckrach is open to non-residents everyday from breakfast through to dinner, you’re welcome to drink and dine in any of the public rooms. Why not enjoy a scrumptious sandwich whilst sitting in the sun drenched Drawing room? The Coffee Shop offers a breakfast menu, a choice of coffee & cake, a lunchtime menu of sandwiches, soups & jacket potatoes and by night the Restaurant offers Brasserie-style food created by Head Chef Rayner Muller. Food by night is simple and done well; home-cooked food with a twist. Choose to sit in the Conservatory, the Bar, the Drawing Room or Library, alternatively enjoy the views from the Terrace Bar at the front of the hotel, sat outside taking in the pure mountain air. 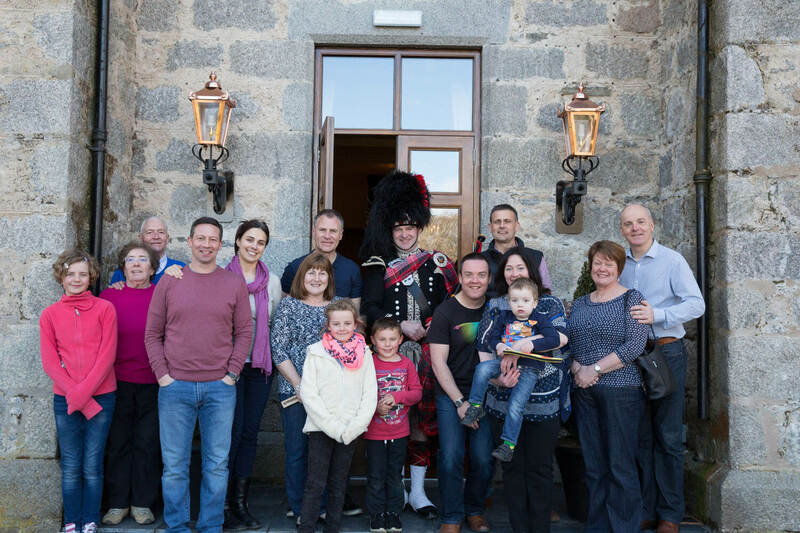 We’d love to welcome you to Muckrach Country House Hotel and encourage you to become part of the clan. Register your details online or complete the form and then you can come along to the hotel to collect a Clan Card. Your Clan Card should be brought with you every time you visit Muckrach Country House Hotel and you will receive discount and applicable special offers from your bill. Clan cards are available now. We will keep you informed about clan member offers via email from the time you register your details. Muckrach is for everyone to enjoy.